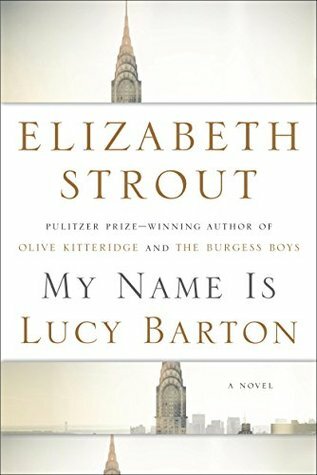 Review of “My Name is Lucy Barton” by Elizabeth Strout | Lit.Wit.Wine & Dine. Thanks to Random House for providing me with a free ARC of this book. This is a beautiful, poignant novel about a woman from a highly dysfunctional family. Lucy Barton is in the hospital recovering from complications after an appendectomy. Her mother, who she has not seen in years, flies in to sit at her bedside day and night for five days. As they discuss the unfortunate relationships of some of their friends back in Amgash, Illinois, we learn a little more about Lucy’s upbringing and her relationship with her family. I thought Lucy was a likable and interesting character though I couldn’t relate to her yearning for the love and approval of a mother who wasn’t the best parent to Lucy as a child and still can’t say the words “I Love you”. What I loved about this book, however, was the prosaic way Elizabeth Strout writes. Her ability to convey a lifetime very complicated emotions (emotional trauma in childhood, dealing with guilt in divorce, etc.) in less than two hundred pages amazed me. Though I wasn’t a fan of Olive Kitteridge, I loved this book and can now see why Elizabeth Strout has such a devout following. I do believe I am a convert. This will definitely be on my books to read list. Ann Marie Palladino is a tough and through critic and if she gives this book 5 stars it’s a must read for me.